Berkshire County features a great selection of Home & Garden contractors, retailers and related services. From general contractors to curtains and draperies, electrical contractors to excavating contractors ...plus air conditioning contractors, heating contractors, landscape contractors, plumbing contractors and more. Need assistance, call us Toll Free at 1-800-772-7926. 140 Summer Street, Pittsfield, MA (413) 441-9633. 418 West Housatonic Street, Pittsfield, MA (413) 499-3319. 24 North Summer Street, Adams, MA (413) 743-7643. 5 Chestnut Street, Pittsfield, MA (413) 445-8837. 1649 East Street, Pittsfield, MA (413) 443-5419. 35 Glenwood Avenue, Pittsfield, MA (413) 441-4117. 137 Marion Avenue, North Adams, MA (413) 664-6141. 109 Crane Avenue, Dalton, MA (413) 684-3494. 34 Britton Street, Pittsfield, MA (413) 443-6447. 19 Stormview Road, Lanesborough, MA (413) 445-7798. 169 Blair Road, Williamstown, MA (413) 458-3862. 165 Eastview Drive, Cheshire, MA (413) 743-7710. 37 Main Road, New Marlborough, MA (413) 528-4395. North Adams, MA (413) 662-2122. 1525 Hancock Road, Williamstown, MA (413) 458-3396. New Ashford Road, Williamstown, MA (413) 458-2754. 184 South Street, Pittsfield, MA (413) 442-5801. 80 Franklin Street, Lee, MA (413) 243-3006. 751 Brewer Hill Road, New Marlborough, MA (413) 229-8244. 25 Chicopee Street, Pittsfield, MA (413) 442-0875. 575 State Road, Route 7, New Ashford, MA (413) 458-0160. 20 Keeler Street, Pittsfield, MA (413) 997-2222. 484 Housatonic Street, Dalton, MA (413) 684-1174. 156 West Park Street, Lee, MA (413) 243-6600. 15 Gifford Street, Pittsfield, MA (413) 443-2054. Rte. 8, Hinsdale, MA (413) 655-8364. 561 Dalton Avenue, Pittsfield, MA (413) 443-0735. 484 Rossiter Road, Richmond, MA (413) 698-2186. 595 Onota Street, Pittsfield, MA (413) 442-9684. 281 Henderson Road, Williamstown, MA (413) 458-4138. 48 East Otis Road, Otis, MA (413) 269-4360. 292 South Main Street, Sheffield, MA (413) 229-2221. 61 North Main Street, Lanesboro, MA (413) 443-5548. 63 Tamarack Road, Pittsfield, MA (413) 441-6304. 595 Onota Street, Pittsfield, MA (413) 997-3670. 595 Onota Street, Pittsfield, MA (413) 499-7793. 80 Industrial Drive, Pittsfield, MA (413) 445-6200. 23 Alder Place, Sheffield, MA (413) 229-8992. 356 E. New Lenox Road, Pittsfield, MA (413) 443-5743. 775 N. Under Mountain Road, Sheffield, MA (413) 229-7974. 51 Pittsfield Road, Hinsdale, MA (413) 499-1177. 360 Laurel Street, Lee, MA (413) 243-1200. 45 Santa Maria Place, Pittsfield, MA (413) 442-2832. 1306 East Street, Pittsfield, MA (413) 442-2832. 1 Scott Drive, Pittsfield, MA (413) 442-1465. 420 Curran Memorial Highway, North Adams, MA (413) 664-6402. Great Barrington MA (413) 528-5443. 12 Club Circle, Pittsfield, MA (413) 443-4675. 144 South Street, Pittsfield, MA (413) 443-2488. 342 North Street, Pittsfield, MA (413) 448-2898. 136 Elm Street, Pittsfield, MA (413) 499-7845. 450 Pittsfield Road, Lenox, MA (413) 442-3343. 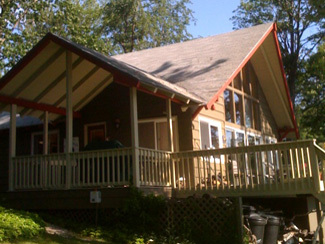 12 Stevens Lake, Great Barrington, MA (413) 528-4207. 199 Silver Street, Sheffield, MA (413) 229-8036. 84 Foley Road, Sheffield, MA (413) 229-0207. 62 Ensign Street, Dalton, MA (413) 684-3648. 11 Stanley Avenue, Pittsfield, MA (413) 448-6299. 44 Harrington Road, Savoy, MA (413) 743-9770. 1394 West Housatonic Street, Pittsfield, MA (413) 442-1855. 189 Water Farm Road, Sheffield, MA (413) 229-2079. 60 Union Street, North Adams, MA (413) 662-2145. 53 Dawes Avenue, Pittsfield, MA (413) 443-6201. 45 Scott Road, Lanesborough, MA (413) 6443-1559. 1510 West Housatonic Street, Pittsfield, MA (413) 443-4919. 126 Columbia Street, Adams, MA (413) 743-2257. 125 Deming Street, Pittsfield, MA (413) 499-7630. 55 Canedy Lane, North Adams, MA (413) 664-7600. 18 Stonehedge Road, Cheshire, MA (413) 743-4661. 149 Eagle Street, North Adams, MA (413) 663-6700. 121 Union Street, North Adams, MA (413) 663-5200. 85 West Union Street, Pittsfield, MA (413) 442-0949. 21 Orlando Avenue, Pittsfield, MA (413) 443-7419. 1476 Massachusetts Avenue, North Adams, MA (413) 664-4030. 294 Barker Road, Pittsfield, MA (413) 446-8397. 3 Orcutt Street, Adams, MA (413) 743-7114. 80 Lyman Street, Pittsfield, MA (413) 442-1852. North Adams, MA (413) 652-2543. 175 Front Street, Housatonic, MA (413) 274-6605. 321 West Road, Adams, MA (413) 743-3245. 265 Cole Avenue, Williamstown, MA (413) 458-9632. 555 Fairview Street, Lee, MA (413) 243-1514. 25 Ontario Street, Pittsfield, MA (413) 442-8120. 43 Brookside Drive, Pittsfield, MA (413) 442-2224. 90 Howland Avenue, Adams, MA (413) 743-1565. 55 Ashmere Road, Hinsdale, MA (413) 655-0279. 70 Carson Avenue, Dalton, MA (413) 441-6375. 117 Grove Street, Adams, MA (413) 743-0843. 6 Jones Avenue, Pittsfield, MA (413) 443-3348. 142 Tower Road, Dalton, MA (413) 684-8986. 600 East New Lenox Road, Pittsfield, MA (413) 442-1158. Great Barrington, MA (413) 528-0010. North Adams, MA (413) 664-8162. 104 South Street, Dalton, MA (413) 684-0181. 484 Summer Street, Lanesborough, MA (413) 655-0180. 400 Wahconah Street, Pittsfield, MA (413) 499-5666. 1007 North State Road, Cheshire, MA (413) 743-1197. 70 West Street, Sandisfield, MA (413) 258-4801. 730 Cheshire Road, Lanesboro, MA (413) 442-2476. 225 Eleanor Road, Pittsfield, MA (413) 442-6162. East Otis, MA (413) 896-9600. 6 Depot Road, Williamsburg, MA (413) 268-7968. 650 West Cross Road, Clarksburg, MA (413) 664-4365. 1253 South Washington State Road, Becket, MA (413) 623-5395. 93 Main Street, Otis, MA (413) 269-4044. 202 Green River Road, Great Barrington, MA (413) 528-1686. 65 Hall Street, Williamstown, MA (413) 458-5267. 12 Stonebridge Ways, Lee, MA (413) 243-3023. 8 West Center Road, West Stockbridge, MA (413) 232-4496. 329 Stewart White Road, Cheshire, MA (413) 743-1131. 96 Salisbury Road, Sheffield, MA (413) 229-2927. 168 Vin Hebert Boulevard, Pittsfield, MA (413) 499-4125. 2686 Hancock Road, Williamstown, MA (413) 823-5057. Great Barrington, MA (413) 528-3361. 52 Baker Street, West Stockbridge, MA (413) 232-4452. 633 Northwest Hill Road, Williamstown, MA (413) 458-8036. 29 Baker Street, Lanesborough, MA (413) 442-1413. 80 Middle Road, Clarksburg, MA (413) 663-7968. Main Road, Monterey, MA (413) 528-4900. 53 Blunt Road, South Egremont, MA (413) 528-2316. 1551 Boardman Street, Sheffield, MA (413) 229-7711. 9 Hinsdale Road, Windsor, MA (413) 684-3843.